BASEL, Switzerland, May 22, 2018	(Newswire.com) - Thought For Food (TFF) is pleased to announce the 10 teams of young entrepreneurs that have been selected as Finalists in the 2018 TFF Challenge. Hailing from Australia, Brazil, Ghana, Jordan, Kenya, Malaysia, Nigeria, the United Kingdom, and the United States, the 2018 Finalist teams are as diverse as their solutions. They have developed ideas that range from helping smallholders dry grains more effectively to ensuring water quality in poor regions; from improving supply chains for fresh vegetables to helping dairy farmers make better decisions; from increasing the sustainability of fertilizers to creating biodegradable insulation materials – there is even chocolate made from carrots and snails as a superfood! 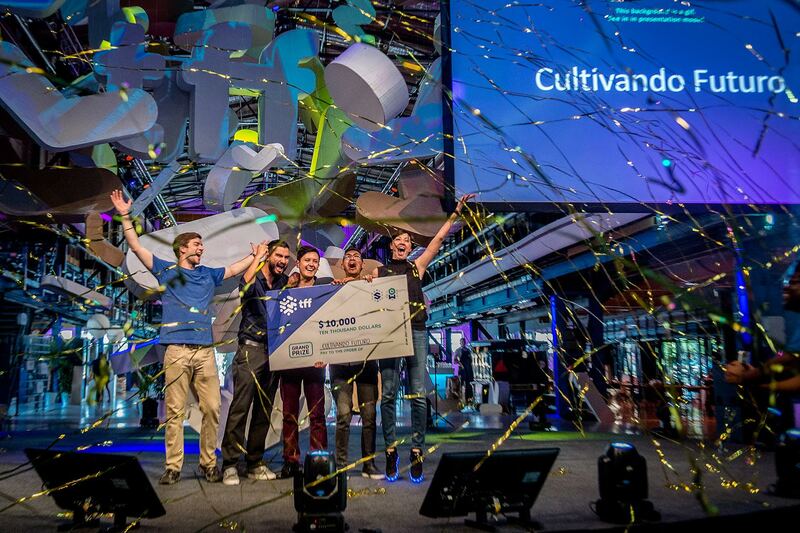 Selected from 800 teams from 160 countries, the Finalists were evaluated based on their potential for positive social and environmental impact, as well as the scientific and business feasibility of their ideas. 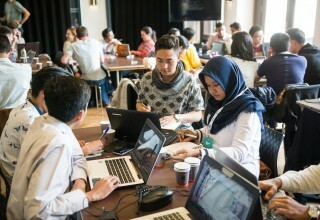 During the coming 9 weeks, they will take part in the TFF Startup Bootcamp, an intensive accelerator program, where they will receive mentorship and training to further develop their concepts by gathering customer feedback, building their organizational structures and sharpening their business models. 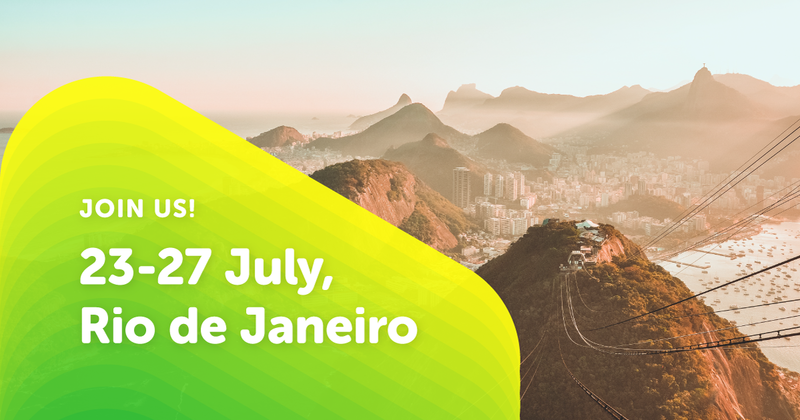 This will be followed by the opportunity to pitch and win up to $25,000 in grant funding at the TFF Summit, which takes place in Rio de Janeiro, Brazil in July 2018. "The 2018 TFF Challenge has exceeded our expectations in terms of the overall engagement and incredible innovation power demonstrated by young people from all over the world. The Finalist projects showcase how cutting-edge technologies and innovative business models can create an inclusive and sustainable food system based on openness and collaboration. We feel honored and excited to contribute to global food and nutrition security by empowering these amazing entrepreneurs to launch and scale their ideas in order to create positive change and real impact." AEROPOWDER (UK) - A biodegradable replacement for polystyrene used in food packaging made from the poultry industry's surplus feathers. Coating+ (Nigeria) - A safe coating for plants and vegetables that extends their shelf life, preserves nutrient quality and enables post-harvest food storage. Group Nutricandies (Brazil) - A vegetable-based, highly-nutritious, chocolate-flavored food product that is sourced from smallholder farmers. IoT Water Control Management (Jordan and Brazil) - A water quality monitoring system specifically developed for refugee camps and areas with limited water access. Laticin (Brazil) - An artificial intelligence based software for dairy management, designed to optimize the entire value chain through predictive analytics. Likabs Food (Ghana) - A franchise-based model that empowers smallholder farmers to safely farm snails, providing an alternative income stream and improving nutritional access. RiseHarvest (Australia) - A digital extension service that provides site-specific nitrogen fertilizer recommendations for smallholder farmers in Southeast Asia. Safi Sarvi (Kenya and USA) - A village-level fertilizer production system that delivers local access to high-quality fertilizer. SunRice (Malaysia and UK) - A passive-solar grain drying service with guaranteed market purchases for the subsequently higher-value grain. Sweetpot Yoghurt (Ghana) - Yogurt that is naturally-fortified with vitamin A and dietary fibers from nutritious orange sweet potatoes. To date, TFF has helped to catalyze and support over 40 startups around the world, including Agrosmart, Cultivando Futuro, FoPo Food Powder and Unibiome. By engaging and empowering an ever-growing community of 12,000 Millennial entrepreneurs from over 160 countries, and connecting them with some of the biggest companies in the industry, such as Syngenta, KWS, DSM, BASF and many more, the TFF organization opens a unique, multidisciplinary space for current and future leaders to co-create sustainable solutions that address all aspects of the food value chain – from production to distribution, to consumption and waste. Interested in meeting these top 10 Finalist Teams and seeing who will take home the prizes? Be sure to join us at the TFF Academy and TFF Summit this July! 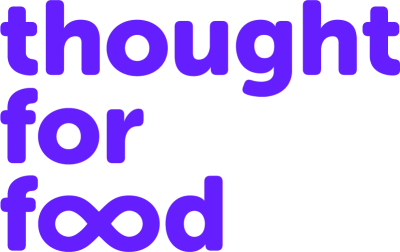 Thought For Food is the leading global organization dedicated to engaging and empowering the next generation to feed 9+ billion people by 2050. We work with thousands of youth from over 160 countries and organize a number of activities that bring the next generation voice into the conversation and solution development about the future of food and agriculture. We help build talent, develop new innovations and raise the reputation of the industry as a whole. 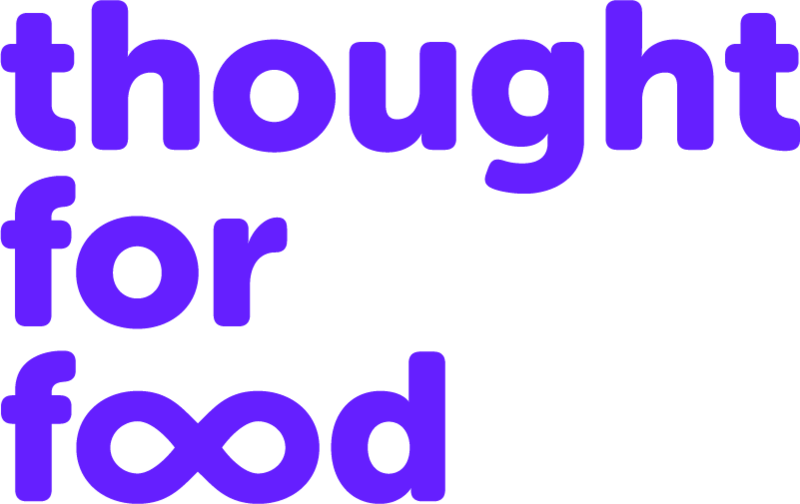 Thought For Food is a 501(c)(3) nonprofit entity. The 2018 TFF Challenge is an annual, global competition that incubates and accelerates new, youth-led food and agriculture projects. Since 2013, thousands of new ideas have been developed based on our robust curriculum and training programs, and more than 40 new ventures have been launched. 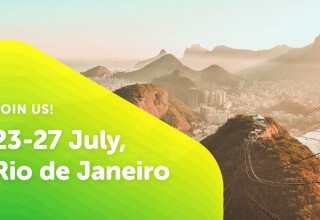 The TFF Summit is our annual flagship event that brings together the world’s foremost thinkers and doers dedicated to creating a more food secure world. 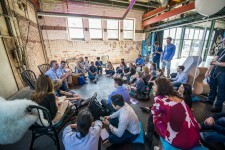 With diverse backgrounds and experiences, these innovators and leaders build powerful connections, ultimately leading to critical solutions for the future of humanity. The TFF Academy is our future leaders’ program, specifically designed to enable the next generation to expand their knowledge and expertise, as well as and develop their professional skills and networks. 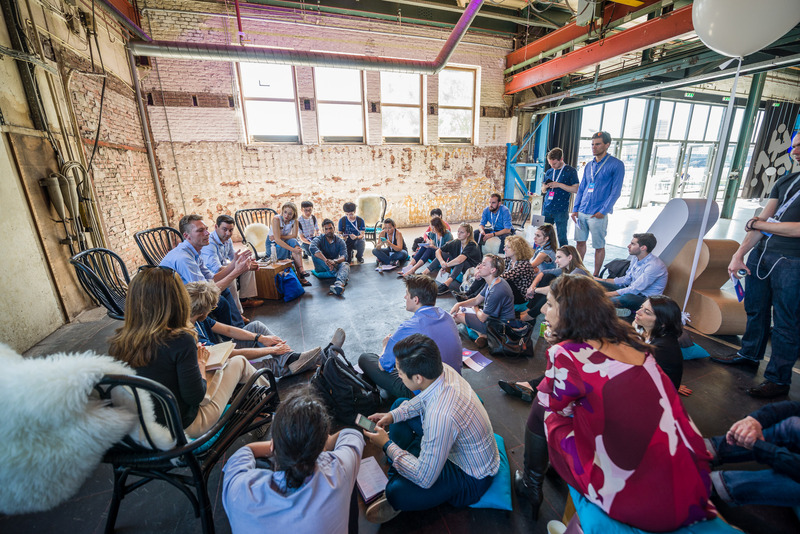 The immersive, interdisciplinary educational experience brings together entrepreneurs, academics, and industry leaders to explore the latest technology, business, and societal trends and to co-create new types of solutions.